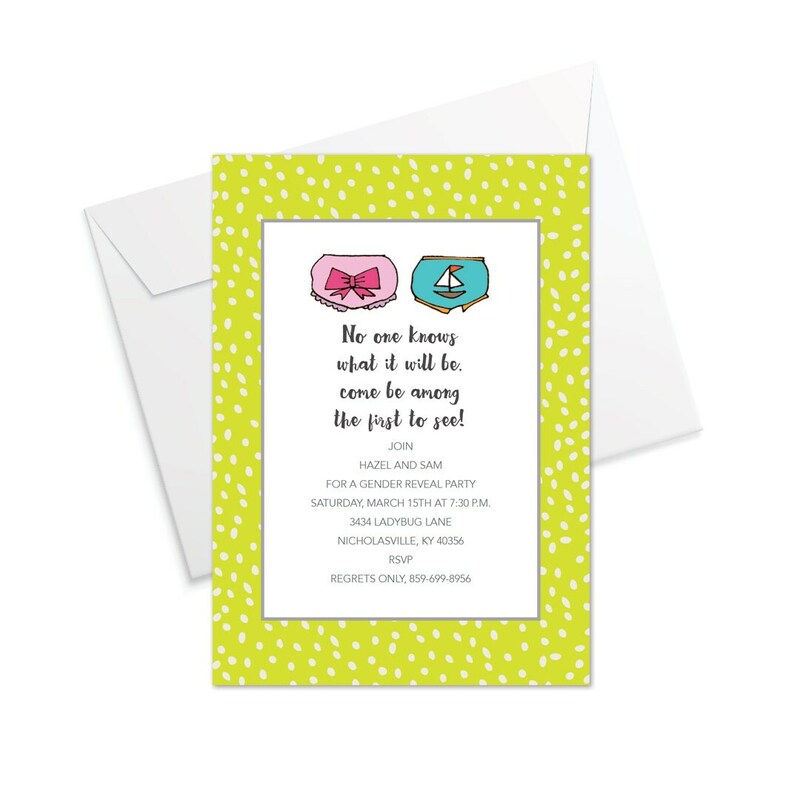 The simple, sweet gender reveal party invitation you've been searching for. Order quick, it's hard to keep a secrets as fun as this! A wonderful keepsake of this special time. Also appropriate design for a baby shower celebrating twins.